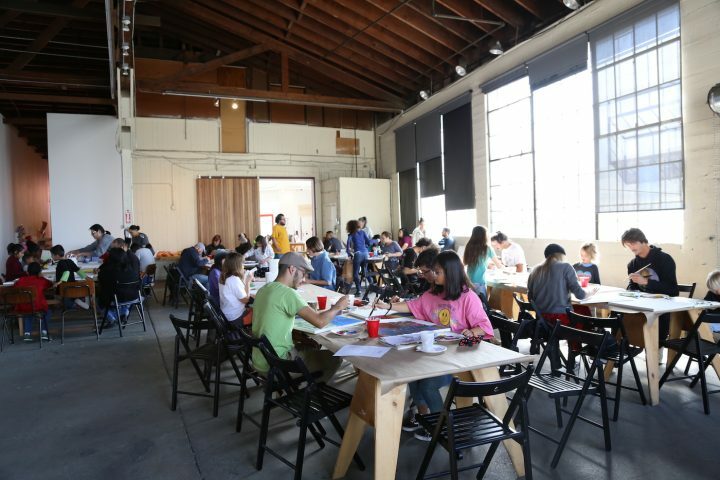 The Boyle Heights nonprofit space founded five years ago by Laura Owens and Wendy Yao had long been the focus of anti-gentrification protests. 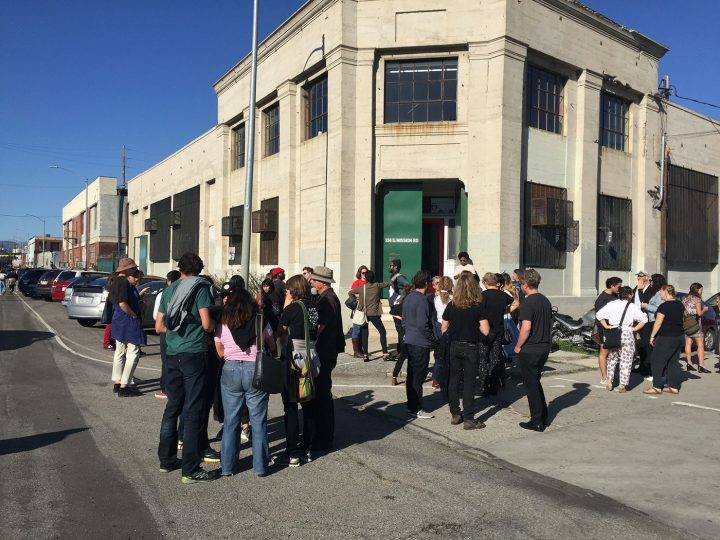 LOS ANGELES — Last week, the artist-run space 356 Mission announced it will close next month. 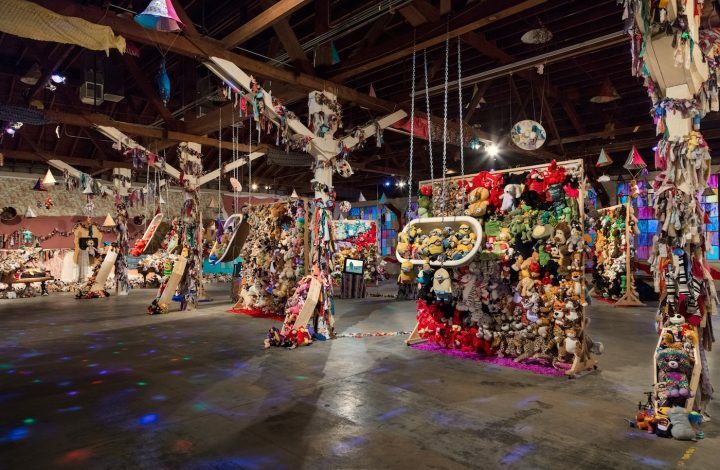 Founded five years ago by artist Laura Owens and bookseller Wendy Yao, the Boyle Heights nonprofit gallery was a major focal point of gentrification protests in the predominantly Latino neighborhood on LA’s Eastside. Reactions to the news were predictably divided: some people Hyperallergic spoke with lamented the closure of a diverse art space, and anti-gentrification activists applauded the announcement as a victory against developers and the artists and galleries they see as their enablers and collaborators. 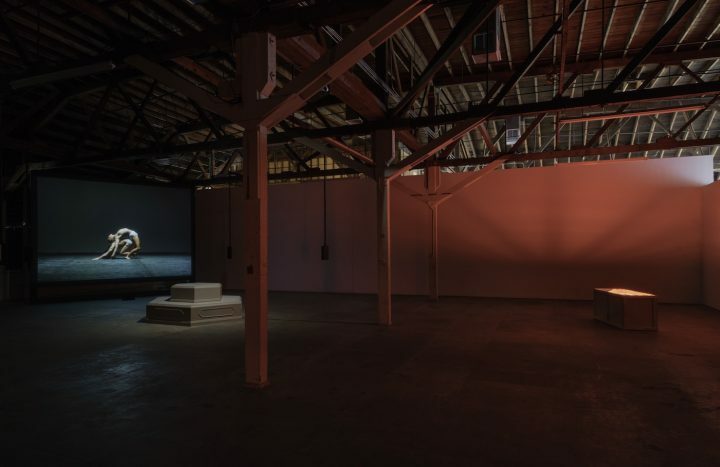 “The position that 356 proposed to the LA-wide community was singular,” said Bradford Nordeen, Creative Director of Dirty Looks, a bi-coastal program showing queer, experimental moving image works and performances. “They offered free events, where you could see a documentary about dance, a musical performance, or Meredith Monk. How often does she perform for free?” Nordeen asked, referring to the iconic composer and choreographer who performed at 356 Mission in 2014. 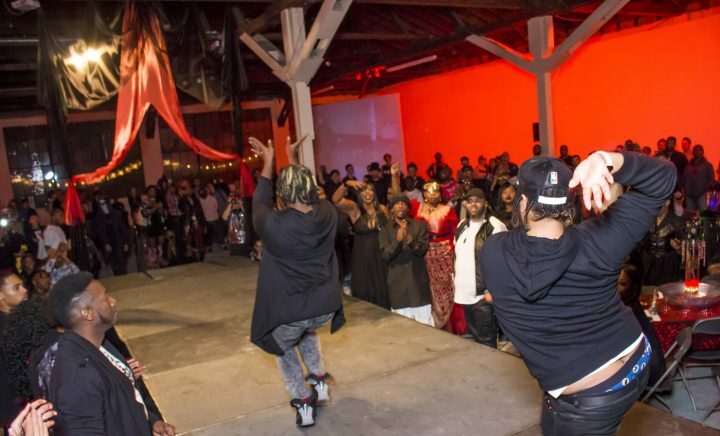 Indeed, beyond its exhibitions program, 356 Mission hosted a range of performances, talks, workshops, and events, including a series of collaborations with Reach LA, a community organization that provides support to LGBTQ youth of color(including last year’s Drag Pageant benefit). Andrews recently staged a performance at the Whitney Museum in dialogue with work from Owens’s solo show there — an exhibition that was vocally protested by activists from Boyle Heights. This sentiment was echoed by others, who see large-scale development as a greater threat to the neighborhood than the crop of galleries and artists’ studios that have sprung up over the past few years. Nordeen questioned the ferocity with which 356 Mission has been targeted, as opposed to nearby high-end blue chip galleries that have thus far been spared most of the activists’ ire. “It seems ironic that targeting was heaped upon 356, that same energy was not going to Maccarone or UTA,” he said, referring to the artistic outpost of the Hollywood talent agency. Neighborhood activists cheered the closure, seeing it as a victory in the long struggle for self-determination in their community. “The work of making our neighborhood a better place for the families in the area spans decades,” Leonardo Vilchis, co-Executive Director of Union de Vecinos, told Hyperallergic via email. “Our desire is to live in this neighborhood for a long time and to benefit of the peace that we built without anybody threatening that desire. 356 Mission and the actions of other developers and speculators threaten that desire.” Vilchis added: “They refuse to hear our voices and change their minds. Their goal is to make money, our goal is do have a decent life in our homes.” Owens told the Los Angeles Times that the space operated at a loss, and that the building was not owned by her or her dealer Gavin Brown, but by local developer Vera Campbell (who had no further involvement in the business). According to 356 Mission’s announcement, the space will close in May, its two current and final exhibitions epitomizing its diverse curatorial and programming strategy: an overwhelming installation of hundreds of stuffed animals by veteran avant-garde musician and artist Charlemagne Palestine, and a solo show of funky and fantastical paintings and sculptures by the young LA-born artist Alake Shilling. It is unclear what will happen to the sprawling former piano warehouse at the corner of Mission Road and Artemus Street after the gallery shuts down. The landlord, Vera Campbell, did not respond to Hyperallergic’s request for comment. 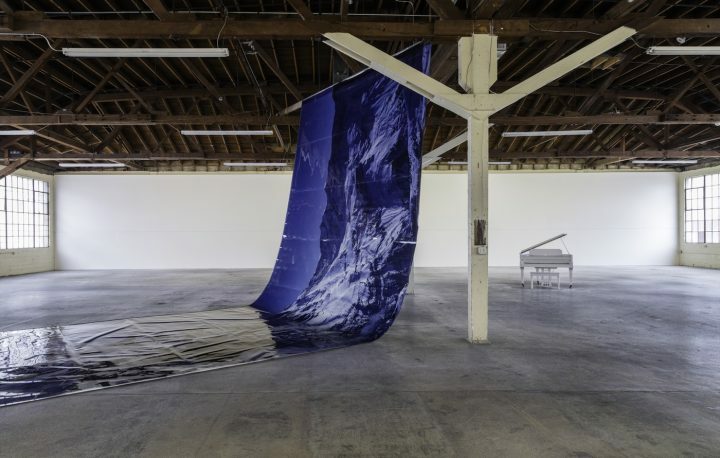 Shilling’s exhibition is on view at 356 Mission through April 29. Charlemagne Palestine’s show comes down April 22.